Live in 2014. 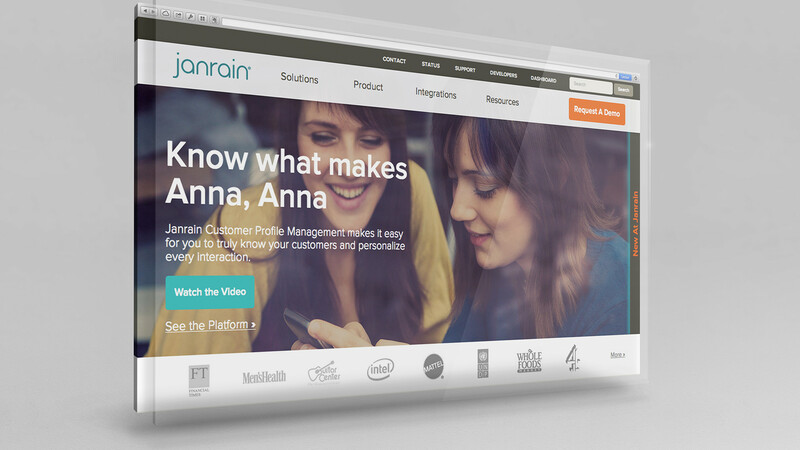 Current site at janrain.com no longer employs this design. The site design, with branding co-developed by Luke in conjunction with a web agency, initially provided an effective, clean narrative for potential customers to follow. But after shortly after release, the simplified site structure proved overly limiting in describing solutions for our industry segments. Good design is design that can adapt. The solution involved creating a new set of solutions pages, and a graphical dropdown menu making it possible to both break out products, solutions, and promote the platform and new content no matter where someone was on the site.